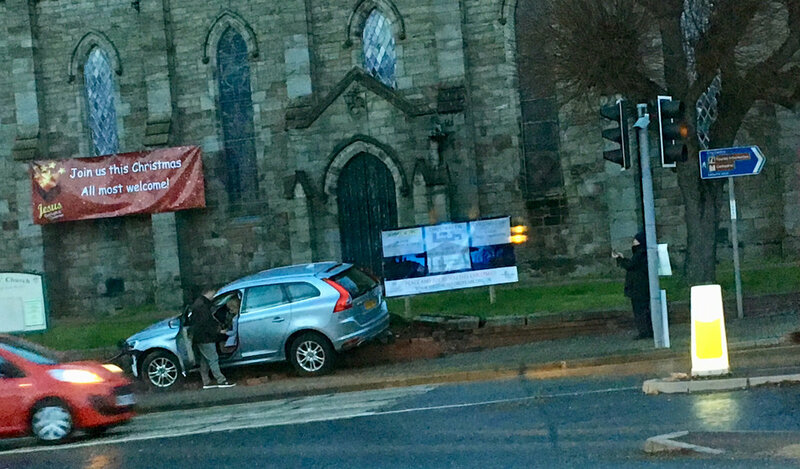 A Volvo car has crashed into the wall at St Nicholas Church in Barton Road this afternoon. We are not sure how the vehicle managed to crash into the wall with the car facing in the wrong direction...We understand that an elderly couple were in the car. There is a recovery truck on site and we do not believe anyone was seriously injured. So our question now is should people have a mandatory re-test every two or three years once they reach the age of 70-75?